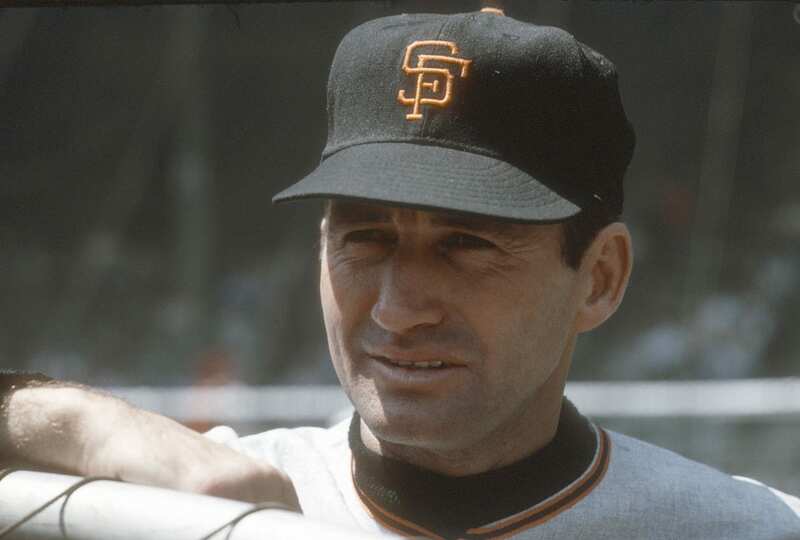 On Nov. 13, two weeks after the San Francisco Giants won their third World Series title in five years, one of the all-time Giants greats, Alvin Dark, passed away at the age of 92. In 1951, Dark helped lead the then-New York Giants to their first pennant since 1937; and in 1954, he led them to their first World Series title since 1933. His time with the Giants (1950-1956) were some of the best seasons of his 14-year career, as he was named to the All-Star team three times (1951, 1952, 1954). He was one of the top three shortstops in the decade that followed World War II and was part of what is often referred to as the “Golden Age” of New York baseball. He also helped the Giants win another National League pennant in his second year as a manager in 1962, the Giants’ fifth season in San Francisco, but lost in seven games to the New York Yankees. Overall, Dark played on six teams in 14 years and managed teams on five other occasions during a 13-year span (while also managing the National League All-Star team in 1963 and the American League All-Star team in 1975). He was named Rookie of the Year in 1948 when he helped the Boston Braves capture their first pennant in 34 years, and he had a career-batting average of .289 with 2,089 hits. In 1974, he won his second World Series title when he took over the managerial role of the Oakland A’s and guided them to their third straight championship. Following Dark’s death, many tributes mentioned the racial controversy that stemmed from comments he gave Newsday columnist Stan Isaacs in 1964. Dark said he was misquoted, and Jackie Robinson, the first African American in Major League Baseball, rushed to his defense saying, “I have found Dark to be a gentleman and, above all, unbiased. Our relationship has not only been on the ballfield but off it.” Dark experienced more controversy later that season when it was revealed that Dark, who was married with four children, was having an affair with Jackie Rockwood, whom he would later marry. Dark, who was vocal about his faith throughout his entire career, was said to rededicate his life to Christ seven years after his affair, attempting to get his life back on track after he was fired mid-season as the coach of the Cleveland Indians. Three seasons passed, and he was eventually hired by Oakland in 1974, where Dark won a World Series in his first season at the helm. The Dark’s Alvin Dark Foundation and their annual Alvin Dark Foundation Golf Tournament helps raise money for Christian ministries. Both were sought after to speak at churches and ministries across the country.